What is a Tree inventory? 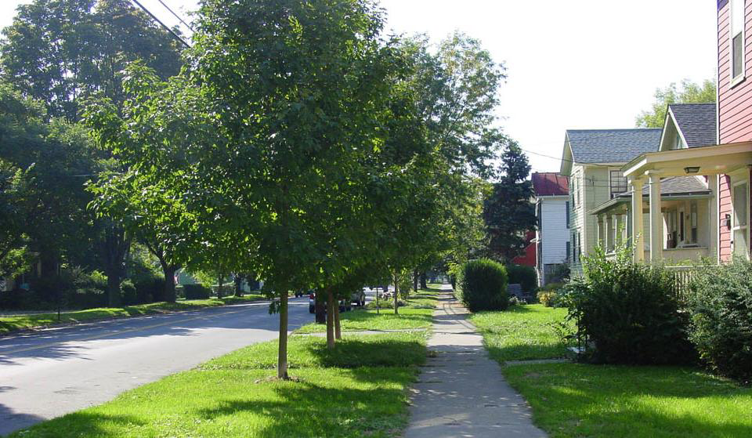 Street trees are publicly owned trees growing in the public right-of-way or a dedicated easement, usually between the sidewalk and the curb, in boulevard medians, and along streets without sidewalks and curbs. Park trees and trees on other public property that are the responsibility of the community. Private trees - Other landowners, such as school systems, companies, and golf courses may inventory their trees, and these can be incorporated into a community tree inventory as well. Why does my community need a tree inventory? Provide a current record of resources being managed and its value. An tree inventory will provide valuable information on the needs and condition of your tree canopy. Dangerous trees can be identified in a tree inventory and managed appropriately, thereby reducing the risk and potentially save someone's life. Once an inventory is complete, software such as the free iTree suite can put a dollar value on the trees and the services they provide, using formulas that have been developed and tested by respected scientists. Assist in scheduling maintenance and developing budgets. Without an inventory or management plan, an urban forestry program is constantly responding or reacting to individual requests. With an inventory, work can be planned in batches and focus on simple preventative activities that can save taxpayers thousands of dollars. Tree inventories can be used to determine both the cost of the work that needs to be done and the value that the trees provide; therefore, it is necessary when preparing the municipal budget. Garner public support for the forestry program. Once the size and value of a community's trees is known, it should be shared with the public. Often, this will help unify the public to improve and invest in its trees. Provide long-term assessment and monitoring of the tree population. An inventory can provide information to develop a storm management plan and to quickly assess the damage after the storm has passed in order to receive FEMA funding. Each tree species is affected by different pests and diseases, and an inventory can reveal the potential impact to the community from an outbreak. By planting a number of different species across the community, the threats of any particular pest or disease can be reduced. Question 1: Which trees are you most interested in? We want information on all of the trees in a specific area, such as the downtown, a historic district, or a park. This is called a Partial Inventory. It provides a high level of information for the specific area, but can’t be used to assess the entire community. We want a general picture of all of the street trees across the community, but time and money is limited. The Sample Inventory would be a good choice for this situation. By inventorying the trees in a random selection of locations (for instance, the trees along 6% of all of the streets in a community), you can make generalizations about the entire population without measuring every single tree, saving time and money. The downside is that hazardous trees or issues that are limited to areas that are not randomly selected will be missed, and any mistakes and inaccurate data will be enlarged when the data is used to represent the entire tree population. We want to know about every public tree. This is a Complete Inventory. It takes the most time and money, but provides the complete picture and can be used to proactively manage your community trees. Question 2: What Data to Collect? Every piece of data that is collected adds to the time and cost of a tree inventory. Focus on the data that will answer the questions that are most important for your community right now. Question 3: How often do you want the inventory to be redone? A Snapshot inventory taken as a one-time tally provides useful information, but the data becomes obsolete as trees are planted, removed and/or increase in size. This necessitates the need to re-inventory the population periodically, which will also provide information as to how the population is changing over time. We want to keep the inventory updated when trees are planted, removed, or receive maintenance. Some communities update their inventories on a Continuous basis. This requires special GIS or tree management software and allows staff to see the current status of any trees in real time. Question 4: What resources do you have available? This is a paper inventory where trees are tallied by species and approximate diameter. This can be done from an automobile with a driver and two persons counting and recording trees by species in different diameter classes. Trees are not located on a map or by address, but summaries can be easily generated by adding size classes for each species. Entering your data into a spreadsheet can make this task simple. This works well in smaller communities. Volunteers can be easily trained to collect data. There are a number of computer-based systems available that allow the user to select those parameters most useful to the community tree program. Some are sold commercially and may have the option of hiring the supplier to conduct the inventory. There are also programs that have been developed by public agencies that are available at no cost. These systems require the community to conduct the inventory. Some of the more sophisticated programs will interface with a community GIS program to provide map locations and descriptive data of each tree inventoried. The systems vary from systems a volunteer can learn to use to programs that really should be performed by a professional arborist or urban forester. There are a number of companies in North Carolina that can perform a tree inventory for your community. While this requires funding, these professionals come with equipment and expertise, and can often provide written reports, presentations, GIS data, or other products to meet your community's needs. Together, these questions can help you determine what trees you will inventory and how you will do it. 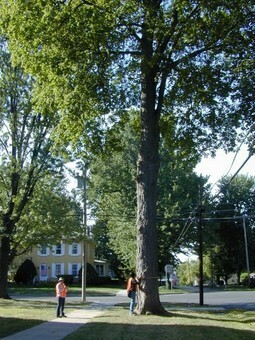 A street tree inventory is the building block of any community forestry program. Without the knowledge of what you have, where your trees are, and what their needs are you can't manage your resource efficiently or effectively.